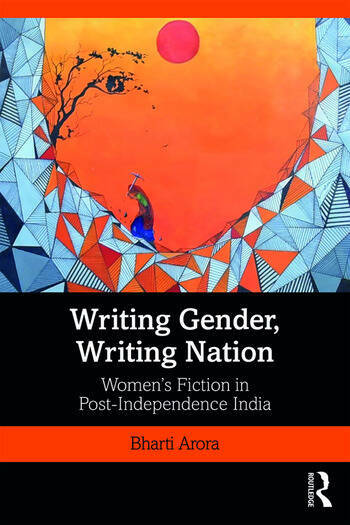 This book explores the gendered contexts of the Indian nation through a rigorous analysis of selected women’s fiction ranging from diverse linguistic, regional, geographical, caste, class and regional contexts. Indian women’s writing across languages, texts, and contexts constitutes a unique narrative of the post-independence nation. This volume highlights the ways in which women writers negotiate the patriarchal biases embedded in the epistemological and institutional structures of the post-independence nation state. It discusses works of famous Indian authors like Amrita Pritam, Jyotirmoyee Devi, Mannu Bhandari, Mahasweta Devi, Mridula Garg, Nayantara Sahgal, Indira Goswami, Alka Saraogi to name a few, and facilitates a pan-Indian understanding of the concerns taken up by these women writers. In doing so, it shows how ideas travel across regions and contribute towards building a thematic critique of the oppressive structures that breed the unequal relations between margins and the centre. The volume will be of interest to scholars and researchers of gender studies, women’s studies, South Asian literature, political sociology and political studies. Acknowledgements. Introduction. 1. Women as ‘Citizens’: Gendered Violence in Partition: Narratives by Women 2. Feminist Negotiation of Autarchy: Going Beyond Victimhood 3. Negotiating Structural Inequalities: Marriage, Domesticity, Divorce and Widowhood in Post-independence India. 4. Economic Liberalisation, Cultural Ghettoisation and their Impact on the Gendered Contexts 5. Writings from the Margins - Dalit and Muslim Women’s Narratives. Conclusion. Appendix. Bharti Arora is a faculty at the Department of English, Tagore Government Arts and Science College, Pondicherry.